Basic modules,classes and tools to quickly develop and deploy web applications. It contains an ORM(Object Relational Mapper) that allows for the use of standard Python language syntax when interfacing with back end database. Developer need not learn SQL,DDL etc ! Provides a template framework that allows HTML, XML, and other “documents” to be converted into “templates”, which can then be converted to “output” via a wide range of substitution techniques. Fast and easy to use components such as built in administrative tools,Built in authentication/access control components, Contributed Geo spatial support components such GeoDjango. 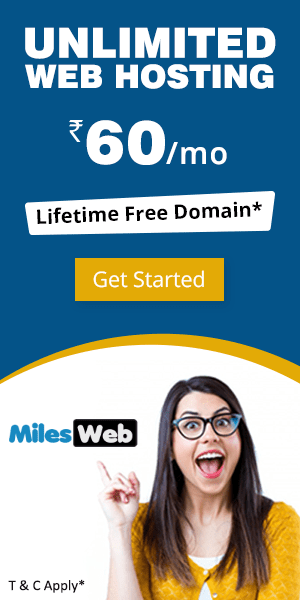 Does MilesWeb offer Django hosting or packages that support Django on your servers? Ans: Yes, We do offer Python Django hosting packages and it is supported on all our web hosting packages. 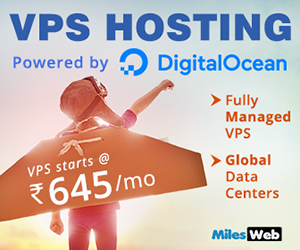 When you choose MilesWeb Hosting, you choose the host who offer services optimized for your Django Hosting experience. Our developer friendly account includes all the supported components to run Django on our servers along with current version of Python. As Shell/Root access is required to run Django framework, VPS hosting or dedicated server is highly recommended to get a dedicated environment. For more information on our Python hosting services, please visit Python Hosting Services. How to update contact information and preferences from cPanel ? What is LAMP Hosting ? Pingback: Web Hosting FAQS by Milesweb.com » Blog Archive » What is Python Hosting ?